Guadalupe “Lupe” Trevino (Wedo), 74, of El Paso, TX passed away Friday, March 22, 2019. Visitation will be 5-7 PM Thursday, March 28, 2019 at Denton-Wood Funeral Home. A vigil is scheduled for 7 PM Thursday, March 28, 2019 at Denton-Wood Funeral Home. 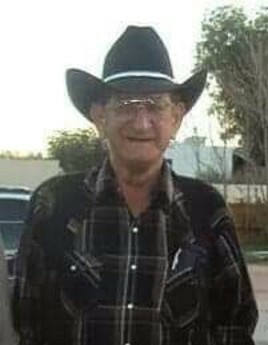 Funeral services are scheduled for 10 AM Friday, March 29, 2019 at Denton-Wood Funeral Home. Interment will follow at Loving Cemetery, Loving, NM. Guadalupe “Lupe” Trevino (Wedo) was born August 12, 1944 to Lorenzo “Lencho” and Anastacia. He attended school in Loving. Lupe was a truck driver for many years until he retired. He was preceded in death by both of his parents and son, Danny Trevino. Survivors include his spouse of 40 years, Sandie; children: Lupito and wife, Clara of Loving, NM, Frankie and wife, Patsy of Loving, NM, Diana of Dilly, TX, Lorenzo and companion, Amber of Loving, NM, Joe and wife, Amanda of Carlsbad, NM, Linda Patton of Carlsbad, NM, Raymond and wife, Susan of Carlsbad, NM, Sandra Hernandez and husband, Jerry of Carlsbad, NM, and Mark Parks of Denver, CO; 21 grandchildren; numerous great-grandchildren; siblings: Frances F. Trevino, Ernest Trevino, and Viviano Trevino; and numerous nieces and nephews. Pallbearers will be grandsons: Steven Patton, Frankie Trevino, Corey Trevino, Lupito Trevino, Brian Trevino and Jaime Coronado.